The Road Less Travelled: World AIDS Day! Let TRUTH Prevail! World AIDS Day! Let TRUTH Prevail! Today is World AIDS Day. Today children all over all over the world are suffering from the affects of HIV and AIDS. Sub-Saharan Africa is more heavily affected by HIV and AIDS than any other region of the world. An estimated 22.5 million people are living with HIV in the region - around two thirds of the global total. In 2009 around 1.3 million people died from AIDS in sub-Saharan Africa and 1.8 million people became infected with HIV. Since the beginning of the epidemic 14.8 million children have lost one or both parents to HIV/AIDS. Those are some serious statistics. Have you ever thought about what YOU can do to help? I know that for us the Twietmeyer Family has been incredible examples advocating for a cause that has burdened our hearts for awhile. I met Carolyn this past October at the Adoption Conference in Austin. Her open candor, honesty, and love challenged me personally. Hearing her children talk openly about their lives was refreshing. This is one amazing family! Will you consider joining me in becoming an advocate for children that desperately need families? Children that DESERVE a chance at life. Will you help SPREAD the TRUTH about HIV/AIDS? Will you help STOP the social stigma that this country is still hanging onto? A word from Project Hopeful. Have you ever thought of yourself as an advocate? Project HOPEFUL believes in you and invites you to partner with us as an advocate for orphans with HIV/AIDS. There are an abundance of opportunities for you to make your mark on a child’s life in a positive way. Our goal at Project HOPEFUL is to develop advocacy opportunities at every level for people who desire to effect real change in the lives of people living with HIV. Our HOPE+ Sisterhood seeks to prevent children from being orphaned by providing mothers and their children with life saving medical care, an education, and job skills training. Our Family in the Gap (FIG) program places the tools for helping unite a waiting orphan with their forever family. 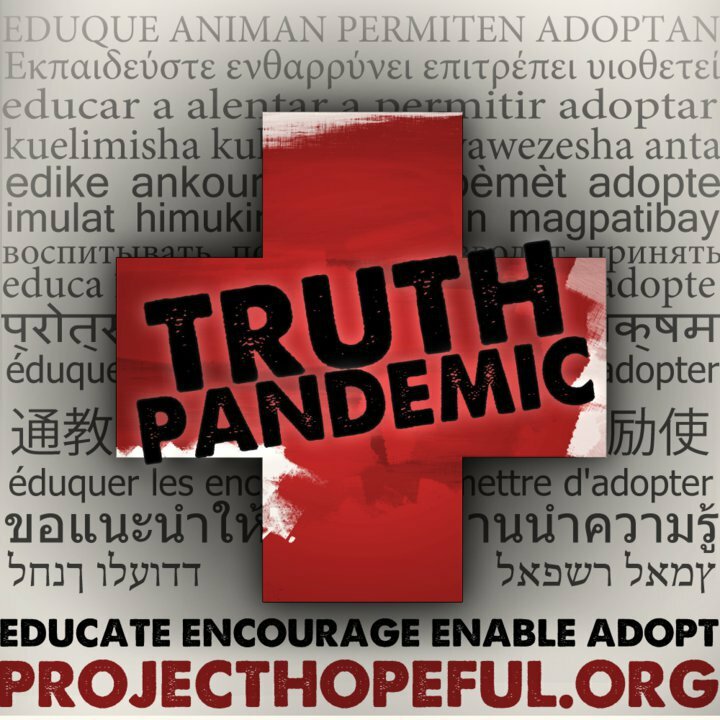 Our Truth Pandemic Campaign (see video below) combats stigma and educates the public with the facts about HIV/AIDS and orphans. You CAN make a difference in the life of a child. Finally, you can help fund the work Project HOPEFUL does through donating and shopping our store for awesome Project HOPEFUL gear. 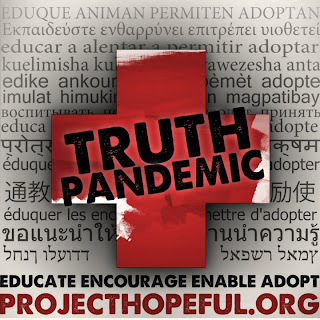 Join the TRUTH PANDEMIC Campaign! Spread it! Check out the video below, its TOTALLY awesome!